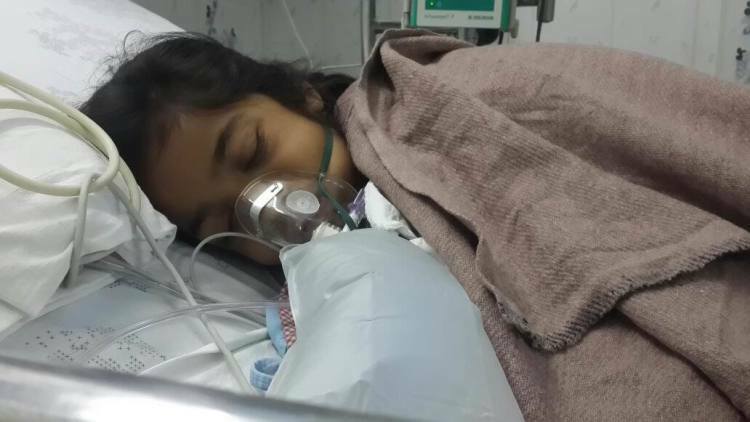 Sadia celebrated her 11th birthday in the hospital, fighting a serious infection. This is a regular occurrence for her. 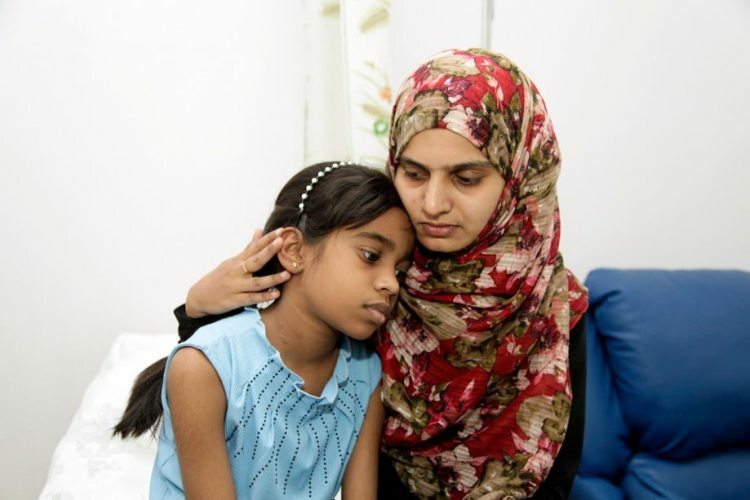 Sadia’s life has only revolved around hospitals and medicines for the past one year. 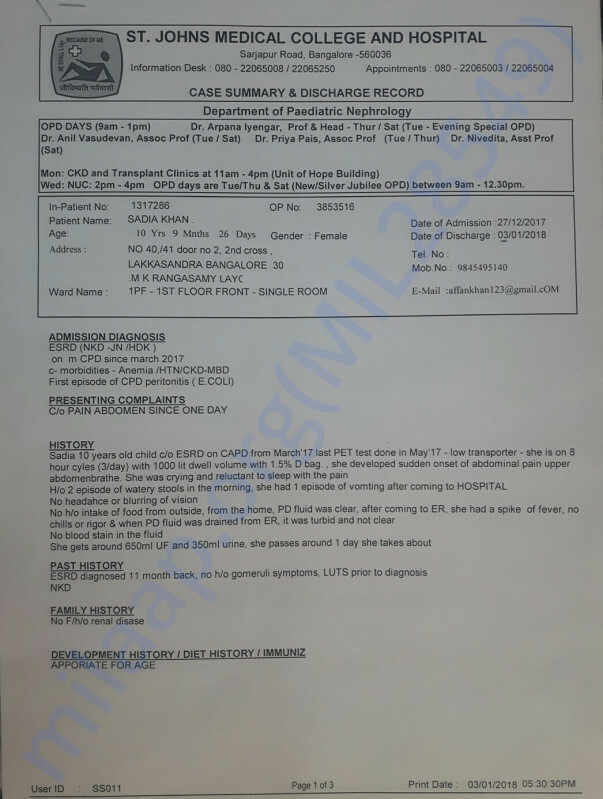 Both of her kidneys have completely failed. Several hours of dialysis and her willpower have kept her alive so far, but it’s not enough anymore. 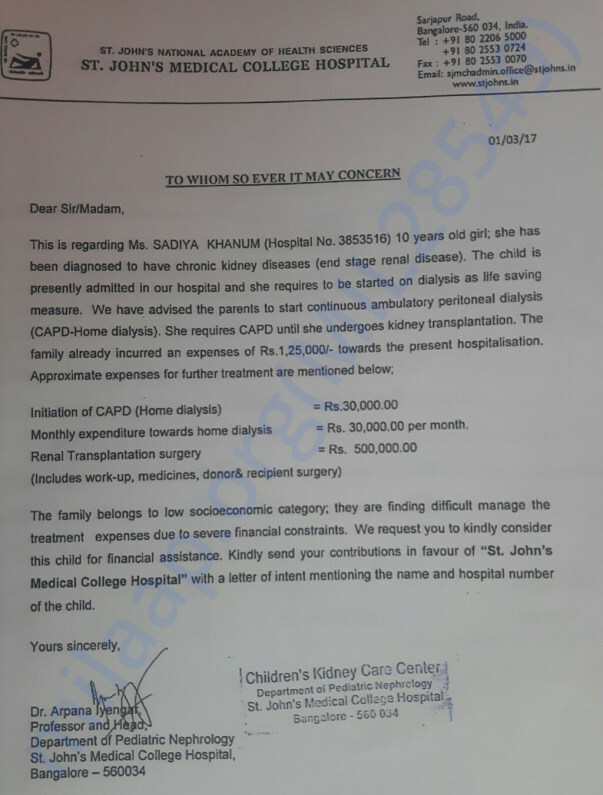 Sadia needs an urgent kidney transplant to survive now. It’s her only chance. One year ago, Affan and Neha noticed that Sadia’s face had swollen up. Two days later when her entire body had bloated up, they panicked. Fear-stricken, they took her to the hospital. 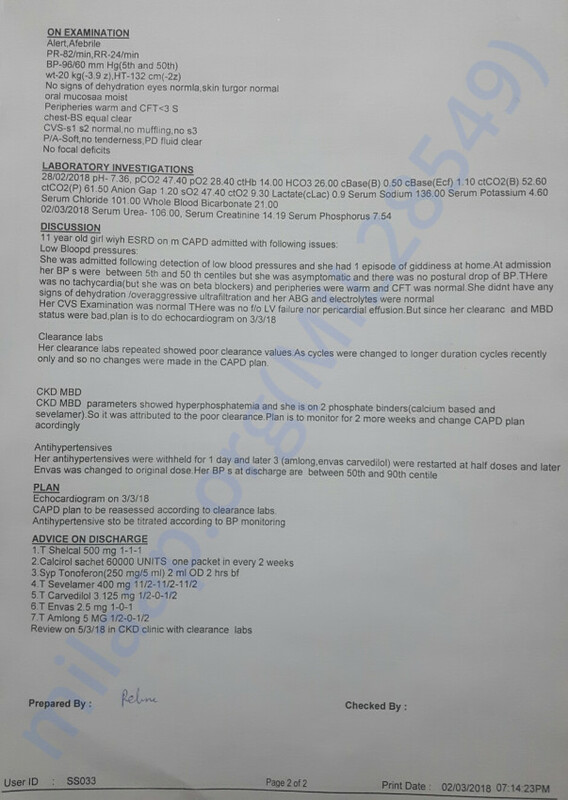 During one of the tests, Sadia started having seizures. 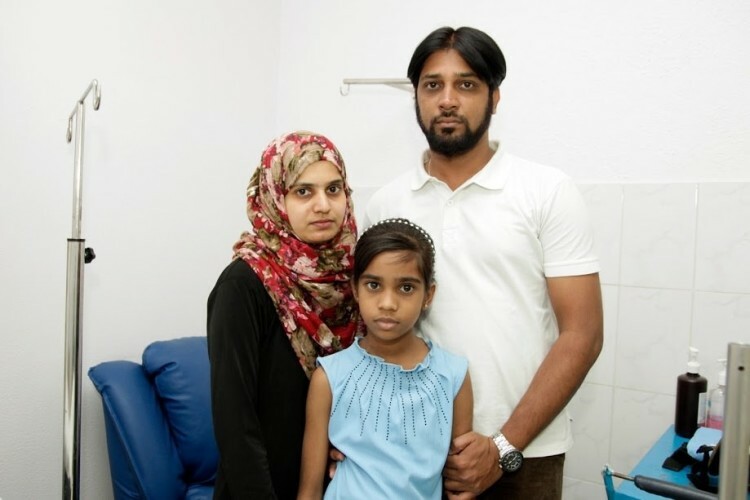 The doctor gave her parents news that would change all their lives forever – both of Sadia’s kidneys had failed and she wouldn't live long without treatment. 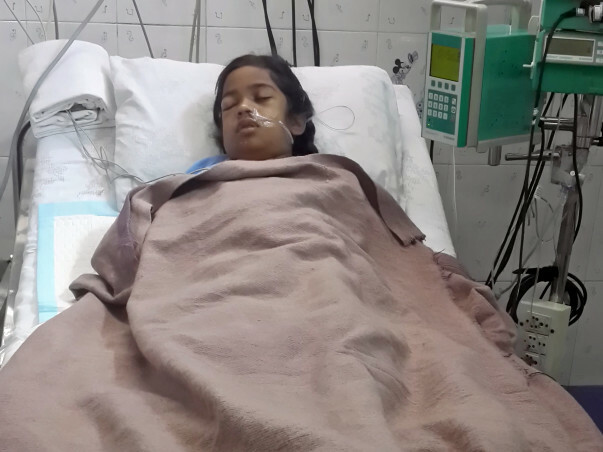 She was immediately admitted to the ICU and was there for 10 days in a critical condition. Miraculously, she made it through, but her struggle had only just begun. 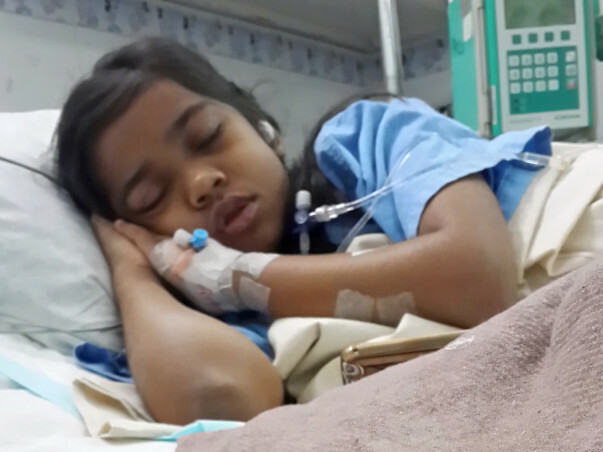 “She’s only 11-years-old and the kidney disease has taken over her life. She has so many restrictions. She can drink only 400 ml (two small glasses) of water in a day. She has to take 24 tablets daily, so we need to plan how much water she can take with each tablet. 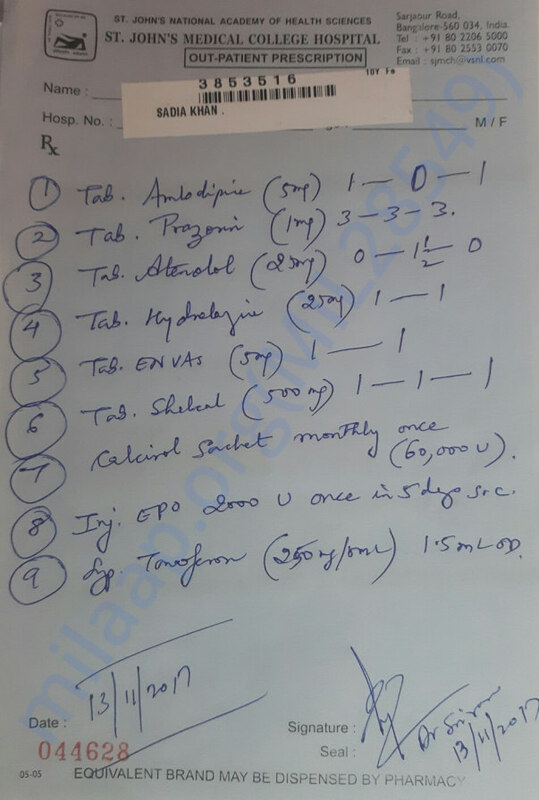 How can she swallow tablets with just 10 ml of water? But she never complains. 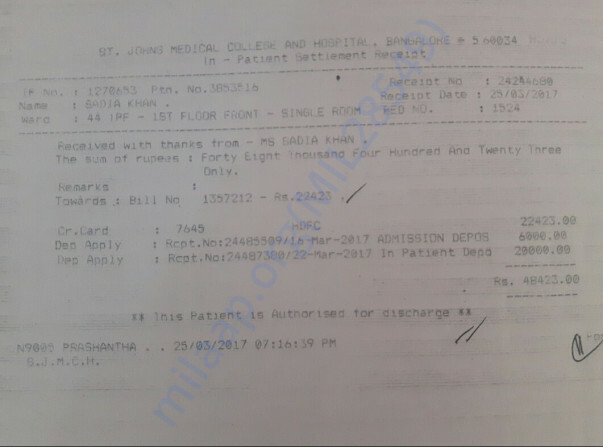 She hasn’t missed a single dialysis session or a single medicine in this one year. The life that she knew, going to school, meeting friends, is over. She has 20 hours of dialysis every day. She can’t go out because she risks infections, all she can do is lie on the bed the whole day. She has made it so far, against all odds, only because of her willpower, but now even that’s not enough." Affan hasn’t gone for work in a year now. He used to work in a mobile retail store, but since Sadia’s fatal diagnosis, all his time is spent on taking care of her. She gets dialysis at home. 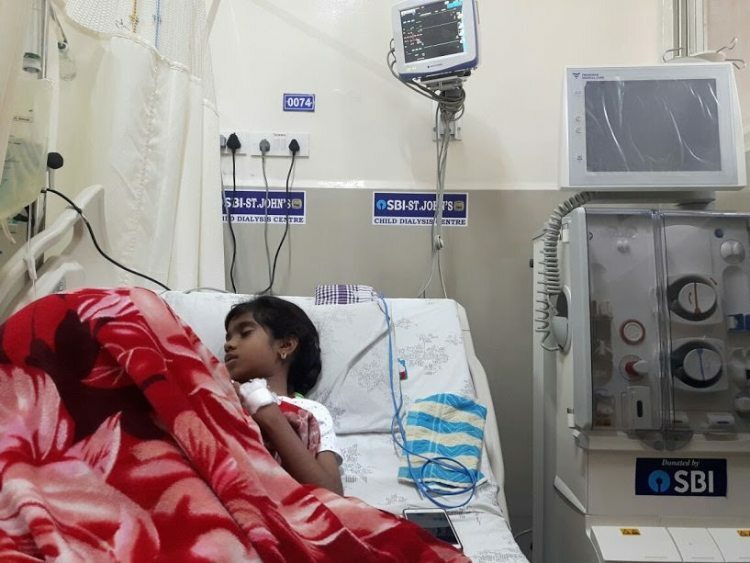 Affan had to be trained on how to give her dialysis with the machine. 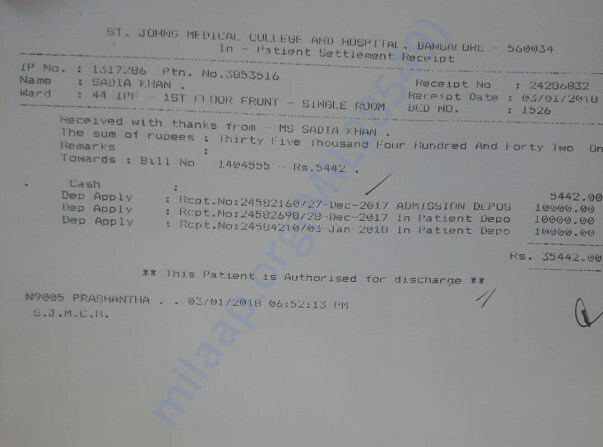 Sadia has been living on dialysis for almost a year now. 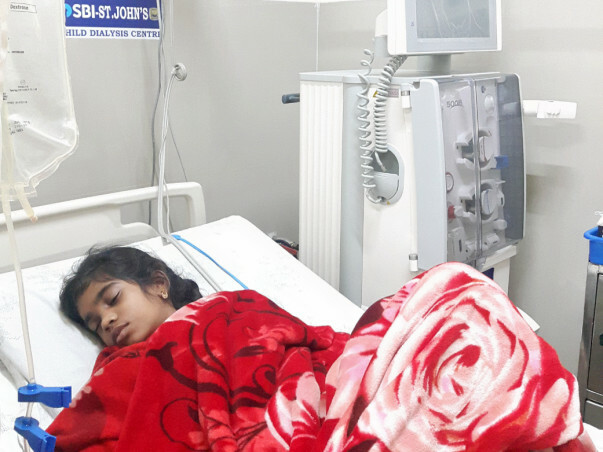 Both her kidney have failed and only a transplant can save her. 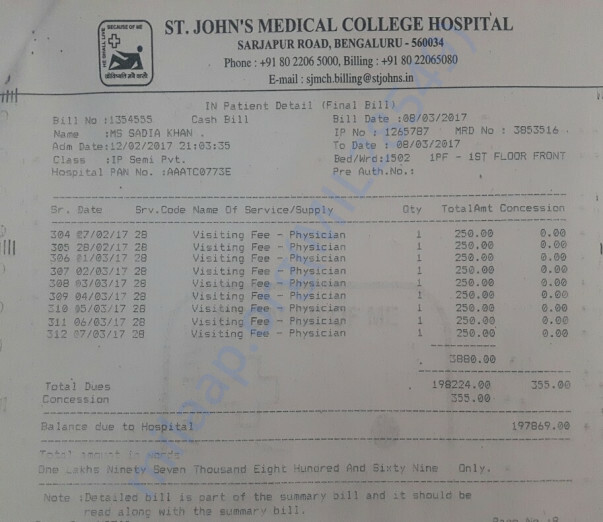 Affan hasn’t been able to go to work in a year now to take care of her and has no means to afford Rs 10 lakhs for her transplant. 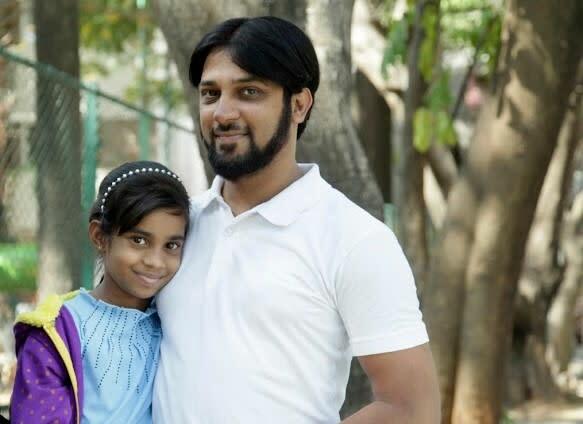 He desperately needs your help to save his daughter and finally give her a life free from pain. 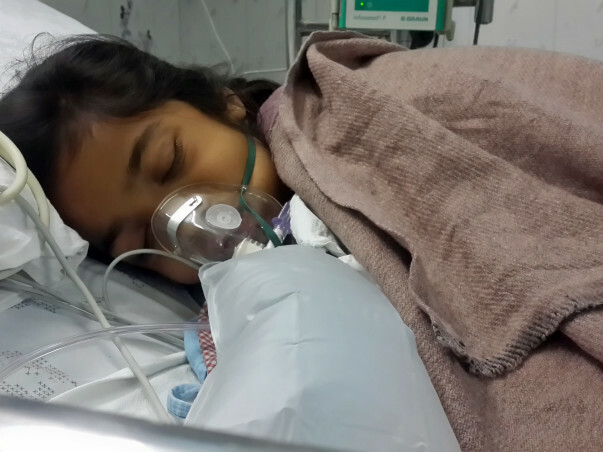 Your support can save Sadia’s life. 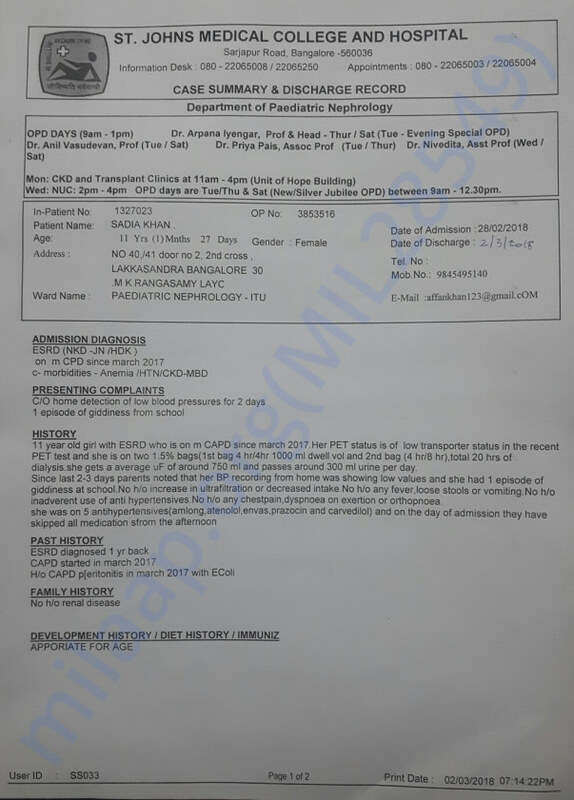 The child is still in the same condition, 18 hours of dialysis every day, being in this condition she had been to school for her 6th std final exam and have done very good. 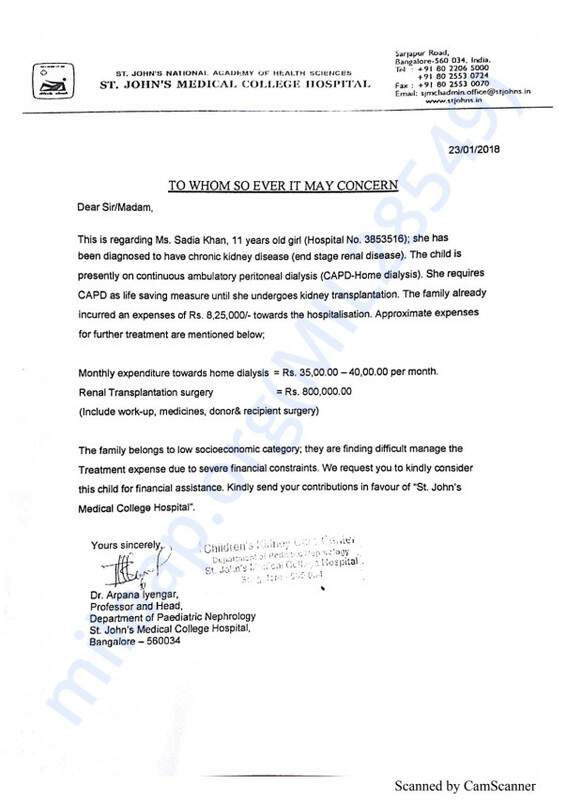 She is a bright student, it is very difficult for me to manage both her school expenses as well her medical expenses. Please keep supporting us and sharing the campaign with your friends and family. My request for you is please donate as much as possible to keep my daughter on regular meditation.